Unicorns occupy a peculiar place in Greek culture. Their origin lies not in their influential mythology, the myths and teachings that formed something like a theological basis in ancient times and source material for an avid Edith Hamilton, but rather with the accounts of historians and thinkers who generally believed them to exist, even if they hadn’t ever seen them before. The lines between myth and fact became blurred with almost encouraged ease, as poets, playwrights and dramatists – both professionally and otherwise – began to utilize the image of a unicorn as their means of communication. The unicorn was, and is, a representation of hope; nothing more, nothing less. Plenty of discussion has surrounded the unicorn in the NBA this season as well, although its version is understood to be a metaphor from the start. Along with a post-Decision manifestation of player power, a personably manic online ego and the most creative use of cupcakes this side of Edible Arrangements, we have Kevin Durant to thank for many things, not the least of which is his dubbing Knicks big man Kristaps Porzingis “a unicorn” during the Latvian’s rookie season. It has led to more than its fair share of close examinations of players that might fit such a magical mold, but – with the exception of, and perhaps even including, Giannis Antetokounmpo of the Milwaukee Bucks – no player is more representative of futurism-via-Durant than Porzingis. Take, for example, a sequence early in the second quarter of Monday’s Knicks-Cavs matchup, one in which New York held a 23-point second half lead before allowing it to dissipate under the will of self-proclaimed New York royalty, LeBron James. The 7’3” Porzingis finished a transition with a dunk, only to follow that up the next possession with a three-pointer. There are a few players in the league who can do both of those things, in that order, but nearly nobody at his size, either currently or historically. Granted, the “_____ just became the first NBA player to ______ since _______” format is ripe for jokes and has become an easy way to deter casual fans from taking any potentially record-breaking plays or players seriously. Any number of the qualifiers can give you the answer you want, can show you the player you think you see. Checking off boxes is a basketblog pastime, and everyone is looking for any excuse to dub a player “a unicorn” when that title can be bent and stretched to no end. It only takes the right basketball-reference.com filters to draw forth literally any player in history as an individual. Still, Porzingis’ size automatically makes him too difficult to ignore. To the previous end: he is the only player of his height to do any number of insane things, and even drawing the height requirement back to a mere seven feet tall can show exactly how unique KP already is. He won the Skills Competition at last year’s All-Star Weekend over the likes of John Wall, Joel Embiid and Isaiah Thomas, for instance. Take that, combine it with the fact that he’s 22 years old and consider that he is the focal point of a Knicks team off to a shockingly decent start, and you may be looking for mythical creatures to explain why you’re talking yourself out of a Knicks lottery draft slot, or into a Knicks playoff berth. Giving a Knicks fan hope is like giving a dolphin a submarine: mostly useless, because dolphins inhabit the same murky waters that Knicks fans experience whenever the team signs another ex-star on the wrong side of 30 to a multi-year, five-digit contract. Hope is almost anathema to the Knicks experience, so self-loathing and expectant of the worst James Dolan has to offer has the tribe become. 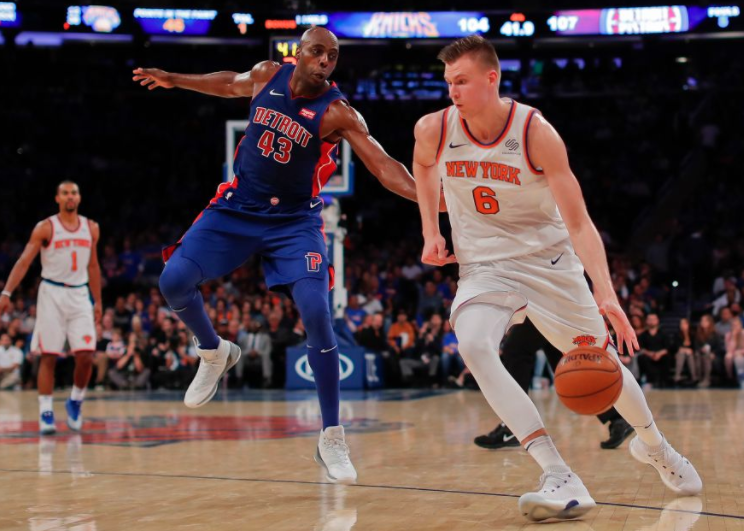 Still, Porzingis, and, to an understandably lesser but still vital extent, rookie point guard Frank Ntilikina, has taken the numerous flashes of overwhelming brilliance exhibited in his first two seasons and amplified them. Without Carmelo Anthony to stop the ball and draw isolations for himself, Porzingis has thrived, using his still-filling 7’3” frame to bully defenders in the paint. He barely has to create any space at all for a jumper. Porzingis is a full-blown superstar at this point, poised to inherit the “obligatory Knick All-Star” throne from Anthony, and it’s well-deserved. We saw Monday night that there is work yet to be done, which is both a great blessing and terrible curse. The Greeks invented the unicorn out of hope, the same furtive force that battles magic in reality. 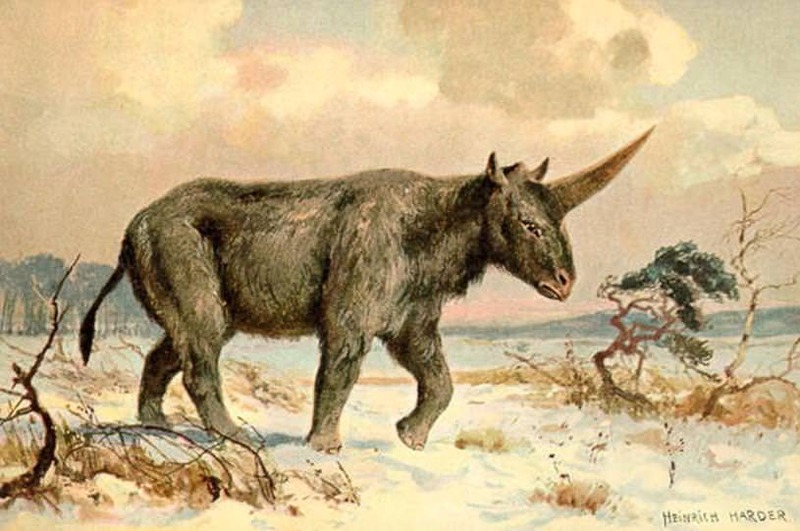 Maybe they were right, and they just didn’t wait long enough, or look in the right place, to see a real unicorn. Center. He’s a center. He insists on being a power forward, and given that he can defend across all five positions and run the floor, I’m fine with giving him a pass, but – he’s a center. Cleveland scored 43 points in the fourth quarter, which would’ve translated to 172 points if carried across an entire game. The most points ever scored in regulation in an NBA game is 162 by the Golden State Warriors – on November 2, 1990, a game in which Run-TMC combined for 99 points alone. The first point guard the Knicks have drafted in the first round since Charlie Ward in 1994. Not for nothing, but the immediate embrace of Porzingis – a white European who was famously booed on draft night due to the stereotype of continental players as soft, flopping flops bound to exit the league in a year or two – by Knick fans and the New York media runs somewhat counter to the sometimes-adversarial relationship with Anthony, or the white-hot->lukewarm relationship with Jeremy Lin in 2012. Play has something to do with it, but certainly not everything.